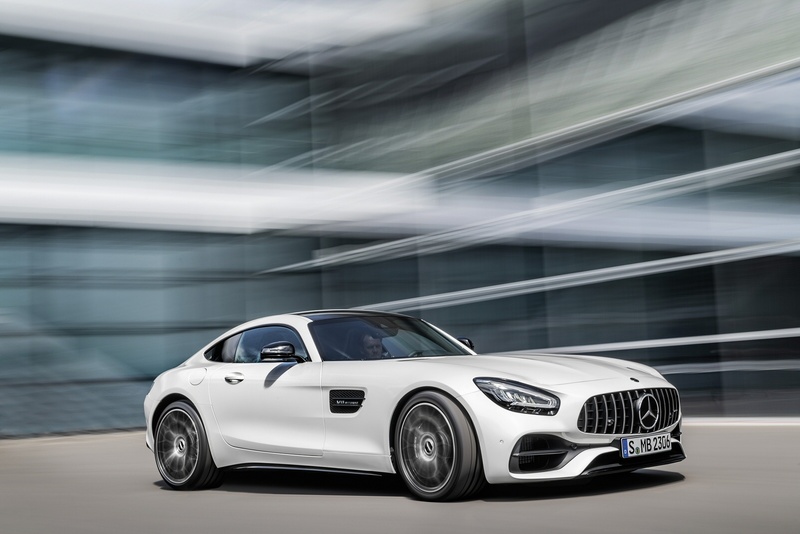 The Mercedes-AMG GT continues to shake up the high performance sportscar market with a combination of extreme power, sleek styling and all the combined know-how of the Affalterbach and Sindelfingen works. Recent improvements have made the Coupe and Roadster variants look a little classier and there's now quite a choice in terms of engine output. The first Mercedes was a racing car. Ever since, the brand has had competition in its bloodline, drawn upon throughout a rich history of motorsport-orientated coupes and roadsters. 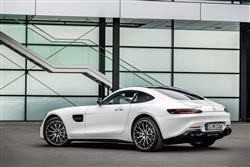 Cars like this one, the Mercedes-AMG GT. 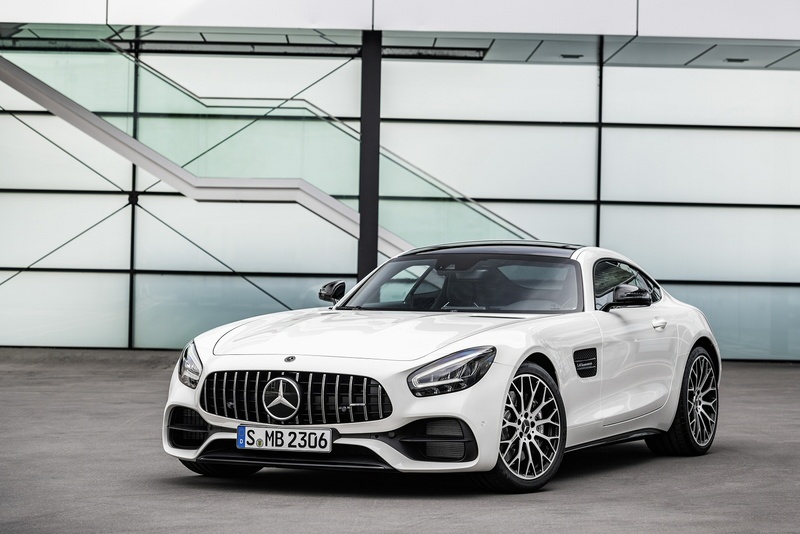 Mercedes-AMG is a brand that enthusiasts may now be used to, its primary focus being the creation of high performance versions of usually mundane Mercedes models. Every so often though, this Affalterbach division gets let off the leash to do its own thing and on the first occasion that happened, we got something very special - the SLS of 2009. As with the SLS, this GT model still uses a V8 beneath the bonnet, but its 4.0-litre engine is smaller and quicker-responding, with lighter weight and twin turbos comfortably compensating for the power deficit over its predecessor's 6.2-litre normally aspirated unit. The experience here though, isn't just about power: Mercedes set out with this GT to create the most involving driving machine ever to sit in its regular model line-up. Quite a claim. Quite a car? Let's find out. 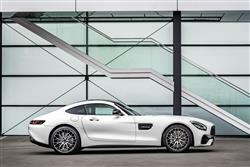 'Mercedes builds a 911', screamed all of the enthusiast mags, who then stopped screaming that when they saw this car. The AMG GT is quite a different thing, power being delivered by a 4.0-litre twin-turbo V8 driving the rear wheels. The powerplant has an unusual layout, with the turbochargers not attached to the outside of the engine like most ancillaries, but housed inside the 'V' of the V8 - something AMG calls the 'hot inside V' configuration. At present, there are five distinct models on offer. The standard GT generates 476hp and 630Nm of torque and is offered in Coupe or open-topped Roadster guise. Next up in the hierachy is the GT S Coupe, a model good for 522hp and 670Nm. Both are hugely quick, as you'd expect: the GT gets to 62mph in 4 seconds and runs on to 189mph, while the GT S edges it, recording 3.8 seconds to 62mph and a top speed of 193mph. If for some reason that's not fast enough, both body styles are also available in a 557bhp GT C guise. 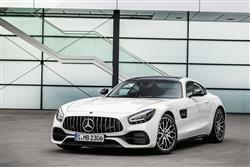 While the Coupe is offered in a 585bhp GT R variant that was race-tuned on the Nurburgring Nordschleife. 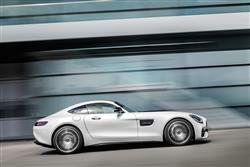 Across the range, drive goes to the rear via a seven-speed AMG DCT-SPEEDSHIFT dual clutch gearbox. This rear transaxle system offers decent weight distribution, with 47 per cent of the car's weight up front and 53 per cent aft. Depending on the model, the transmission offers up to five different driving modes: 'controlled efficiency', 'sport', 'sport plus', 'individual' and 'race' - the latter offered exclusively on the GT S. All versions are fitted with a standard locking differential. The GT receives a mechanical unit, while in a move that might be opposite to that which you expected, the GT S is fitted with an electronic version. The GT S also gets active driveline mounts which continuously isolate the mass effects of the engine and transaxle. 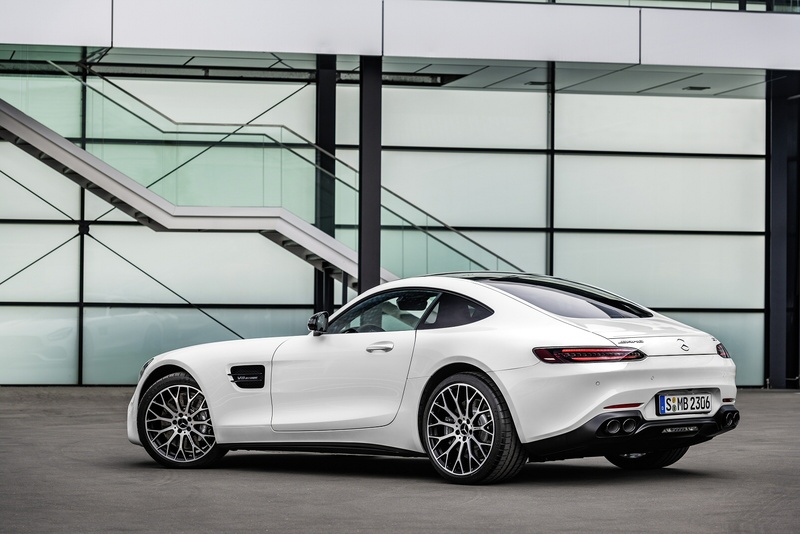 Buyers choose between Coupe and Roadster bodystyles, but either way, the styling of the AMG GT follows a definite theme, the long bonnet and squat glasshouse of the Coupe version being an evolution of the SLR and SLS models. It's a subtler and gentler shape than both though, but not without purpose, with squat haunches suggesting all its power is balled up at the driven wheels. From the rear, there are elements of Porsche 911 in its curves which may or may not be deliberate, but it's a car with nary a bad angle. It's just a shame that we have to do without the SLS's magnificent gullwing doors. Changes to this revised model include re-styled exhaust tailpipes, exterior styling enhancements, smarter LED High Performance headlamps and a new and front and rear view camera package, with parking sensors and parking assistant. Like the old SLS, the GT is built around a lightweight aluminium body structure that, in this case, weighs a mere 231 kilos. 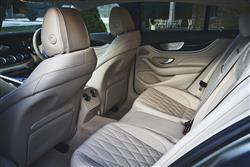 Drop inside and you're greeted with a broadly sweeping dash with a hugely chunky centre console. The sightlines at first seem a bit pinched but the driving position is lovely and Mercedes has fitted a beautifully tactile steering wheel. There's even an element of practicality too, Mercedes realising that cars in this class are built to be used rather than looked at. The rear hatch allows access to a luggage compartment with a capacity of some 350-litres. Expect to pay just over £104,000 for the GT version and around £117,500 for the GT S. The asking figures put this Mercedes up against cars like the Aston Martin Vantage and the Audi R8. 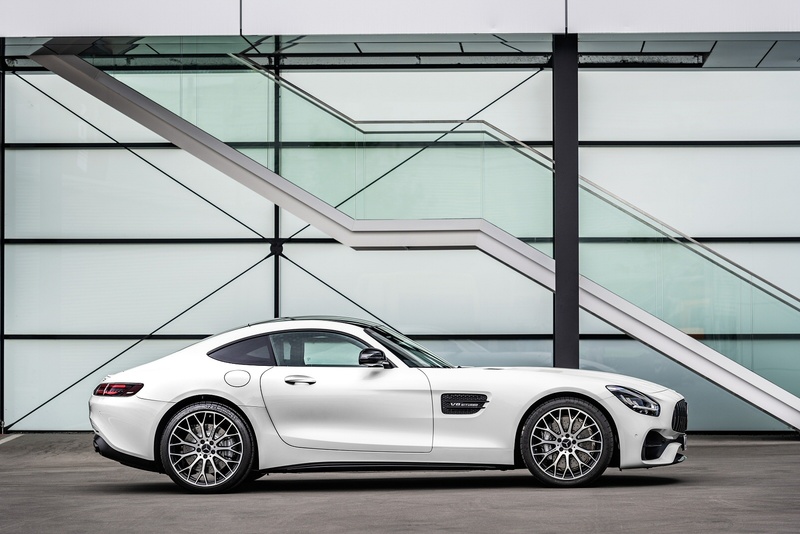 Both AMG GT models are a bit pricier than a Jaguar F-TYPE R and quite significantly cheaper than a Bentley Continental V8 or a Ferrari Portofino. The open-topped Roadster bodystyle is offered with the base GT model's 476hp engine for around £114,000, or you can have a 522hp GT S version of it for around £127,000. At the top of the open top range, the 557hp GT C Roadster variant costs just over £142,000. 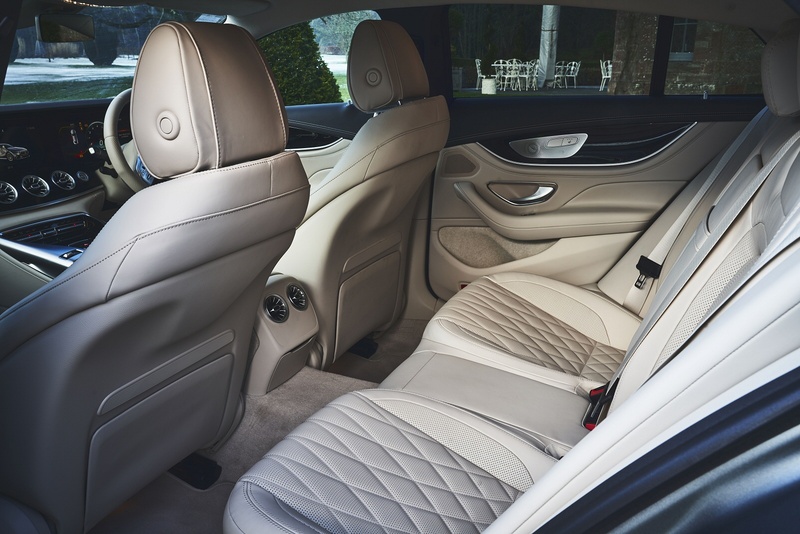 Whichever variant you choose, you'll find that the interior's beautifully finished, with aluminium shift paddles, silver chrome trim elements and sports seats in ARTICO material. A free-standing 7-inch central display is located centrally above the four ventilation outlets. The driver operates the seat heating, PARKTRONIC, the hazard warning lights and, depending on the equipment, the extendable rear aerofoil using the buttons in the top control panel in the roof frame. The GT S also gets an instrument cluster with a 224mph speedometer scale and red colour highlights, plus a performance steering wheel in black nappa leather and DINAMICA microfibre, an AMG emblem embossed in the centre armrest and upholstery in ARTICO and DINAMICA microfibre. As an option, the silver chrome trim can be swapped out for carbon fibre, matte silver fibreglass or black diamond. 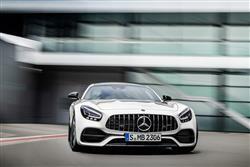 AMG GT buyers can further boost performance of their car through the fitment of optional carbon-ceramic brakes and Michelin Pilot Sport Cup 2 tyres. For a car with a turbocharged V8 engine, fuel economy isn't as catastrophic as you'd imagine. The GT returns up to 23.5mpg on the combined cycle and up to 261g/km of CO2, while the GT S doesn't impose too much of a penalty for its additional 34hp, returning up to 23.3mpg and emitting up to 262g/km. All figures are WLTP-rated converted to NEDC2. Both cars get better economy and lower emissions than something like a Honda S2000. Residual values are likely to hold up well given that this is a rare product line. You'll need to book a service every 12,500 miles, which is more frequent than a Porsche 911's 20,000-mile stops, but this AMG comes with a three-year, unlimited mileage warranty and Mercedes' 30-year 'Roadside Assistance' breakdown cover. And it's worth knowing that your maintenance outlay can be kept a little in check by going for the optional 'Service Care' package. If you�re looking for a new Mercedes-AMG Mercedes-AMG GT GT 476 Premium 2dr Auto Petrol Coupe for sale, you�ve come to the right place. 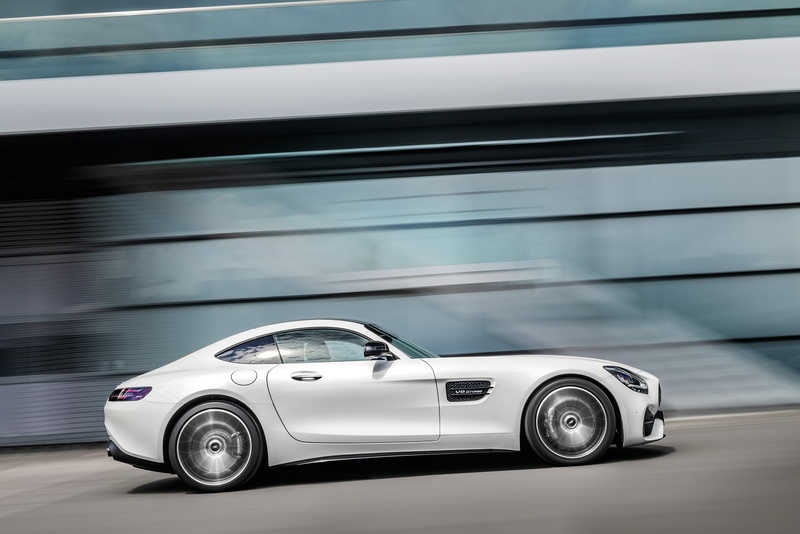 At Bristol Street Motors we don�t just have the best Mercedes-AMG Mercedes-AMG GT GT 476 Premium 2dr Auto Petrol Coupe deals, we also offer friendly advice and help with all your enquiries to ensure your buying experience is a happy experience.